Transcriptional control of TP53 is complex and includes two separate promoter regions situated in the 5' nontrans-lated region as well as in the first intron of the gene.12-15 TP53 is biologically highly pleiotropic with respect to its role in various aspects of cell homeostasis, including both tran-scriptional dependent and independent mechanisms for regulation of gene expression. Important downstream intermediates for TP53 action include GADD45, critical in DNA damage repair; P21waf-1, which is a cell-cycle-dependent kinase inhibitor; MDM2, responsible for self regulation of TP53; and BAX protein,involved in cellular apoptosis.1-8 This represents only a short list of critical growth regulatory and cell differentiation genes under the partial or total control of TP53. It is clear given TP53's ubiquitous interaction with many diverse cellular pathways that significant derangement in growth control and cancer development should follow mutational damage to this important regulatory gene. Figure 22-1. Missense point mutation in TP53 exon 7. The arrow points to a G-to-A mutation in the DNA sequence, leading to insertion of an incorrect amino acid in the corresponding position in the protein. While only one copy of the gene is affected, biallelic inactiva-tion is very likely to be present, leading to a loss of tumor suppressor function in the affected cell. Figure 22-2. Allelic imbalance analysis is a highly accurate and sensitive method for determination of genomic deletion. 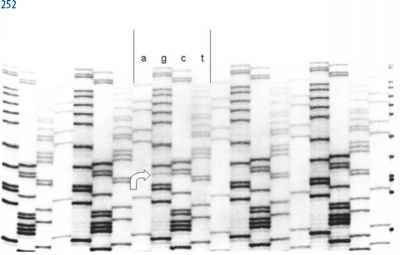 Note the very close replication of samples performed in duplicate (1a and 1b; 2a and 2b). The degree of imbalance as determined by the ratio of peak heights is a measure of mutated tumor cell content in the sample. I, informative microsatellite marker; NI, noninformative microsatellite marker; NO LOH, no significant allelic loss demonstrated; LOH S, significant allelic loss affecting the shorter polymorphic microsatellite allele; LOH L, significant allelic loss affecting the longer polymorphic microsatellite allele. 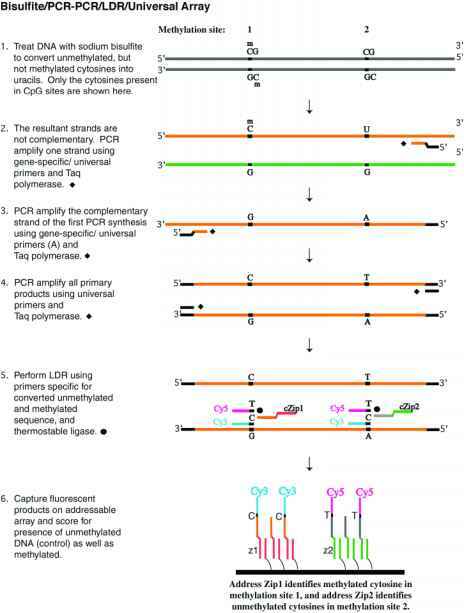 (Figure 22-2).1-5 This is the predictable two-step process initially described by Knudson29-31 and shown to be operative for many tumor suppressor genes, including retinoblastoma and Wilms tumor genes.29-31 The second event can take many different forms; however, most often it involves genomic deletion of the unaffected normal allele as an aberration during cell proliferation. The result of the two-step process is a complete lack of functional TP53 protein within the affected cell. This in turn is believed to confer significant growth advantage contributing to clonal expansion and further acquisition of somatic mutations targeting other growth regulatory genes (Figure 22-2). Allelic loss can be measured using simple techniques as shown in Figure 22-2 and described in Table 22-1. The temporal relationship of the two steps can vary greatly in duration. In the case of inherited germline mutations of TP53 (LFS), the interval can be 50 years or greater. 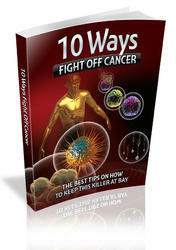 In contrast, for most somatically acquired cancers, the two steps follow each other quickly in time. Critical events likely responsible for cancer phenotypic properties usually place TP53 mutational damage as causally responsible for the transition from high-grade dysplasia (partial loss of growth control) to frank malignancy (total loss of growth control).6-8 This has been well documented in colon cancer as well as many other forms of human malignancy.6-8 From an analytical perspective, the presence of a second step assuming the form of a genomic deletion provides an alternative means to formulate testing designed to detect and characterize TP53 mutational damage (Figure 22-2). This testing can be applied clinically to address specific clinical issues involved in the diagnosis of and treatment planning for cancer patients. Li-Fraumeni syndrome (LFS) is a rare, autosomal dominant, inherited cancer susceptibility disorder first reported in 1969.32 While the disease has been attributed to germline mutations in TP53, not all affected subjects consistently manifest evidence for such mutational damage. When narrowly defined in strict terms as described below, more than 70% of individuals will reliably exhibit TP53 point mutations that in turn can serve as the basis for testing of other family members for cancer susceptibility risk.33 When the criteria for inclusion in this syndrome are relaxed, so called Li-Fraumeni-like syndromes (LFL), only 20% of affected individuals have evidence of TP53 mutation.33 Thus, TP53 must be regarded as only one of an increasing number of known cancer-associated gene alterations responsible for increased cancer susceptibility in the human population. LFS is noted for the diversity of cancer types within families and even within the same individual over time that frequently cross histogenetic cell types. The most common forms of LFS malignancies include sarcomas, breast cancer, central nervous system gliomas, and hematopoietic neoplasms, most notably acute lymphocytic leukemia and different types of lymphomas.33 Of particular note is the presence of adrenocortical carcinomas that, when present in a young person, should raise concern for the diagnosis of LFS. While the overall burden of multiple synchronous or metachronous tumors is not as great as with other forms of inherited cancer susceptibility (i.e., adenomatous polyposis coli, hereditary nonpolyposis colon cancer, BRCA1, and BRCA2), subjects can manifest multiple independent primary neoplasms. The early detection and characterization of independent cancer formation is an important element in the overall cancer surveillance and management of LFS patients and their family members. Varying criteria have been used to define LFS. The strictest definition requires the occurrence of a sarcoma in a patient under 45 years of age in concert with a first-degree relative having either cancer of any type before age 45 or any form of sarcoma irrespective of age.34,35 Using these clinical criteria, more than 70% of patients will have a germline mutation in TP53.34'35 Family members with TP53 mutation have a 50% risk for developing cancer by age 30 that then rises to 90% by age 70. When criteria for inclusion in LFS are relaxed, the incidence of demonstrable TP53 mutations correspondingly decreases. This observation, together with a failure to document TP53 mutations in a minority of otherwise classic LFS patients, suggests involvement of alternative genes operating in TP53 functional pathways as primary targets for germline mutational damage. It has become clear that inability to detect the presence of a TP53 mutation does not exclude the diagnosis of LFS or LFL syndromes. The latter have been increasingly recognized as having a complex mutational basis targeting one or even several interactive cancer-associated genes. Further ongoing research is designed to improve our understanding of the genetic basis of this important cancer susceptibility syndrome. Initial studies in LFS families suggested the presence of a narrow range of point mutational damage involving TP53 exon 7.36-38 As additional affected kindreds have been characterized, the range of specific germline mutations has expanded to include virtually the entire coding region of the gene. While certain hotspots associated with LFS are recognized, that is, codons 248, 252, and 258, testing for potential genomic involvement in an individual patient should not be limited to these codons. Any analysis for LFS or a related inherited cancer-susceptibility disorder should be done in concert with trained genetic counselors as part of a multidisciplinary team cognizant of the many challenges faced in the detection, evaluation, and management of affected individuals. Test results will significantly impact not only the affected patient but also many proximal and distal family members.